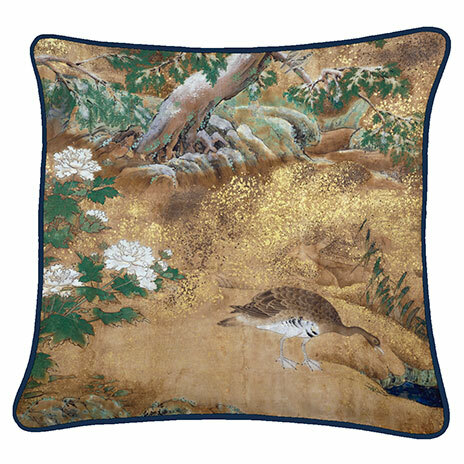 A miniature Japanese folding screen showing a cherry blossom and pheasant scene. The screen measures 37cm wide. One of the most extensive forms of Japanese art is the folding screen, known as Byobu. 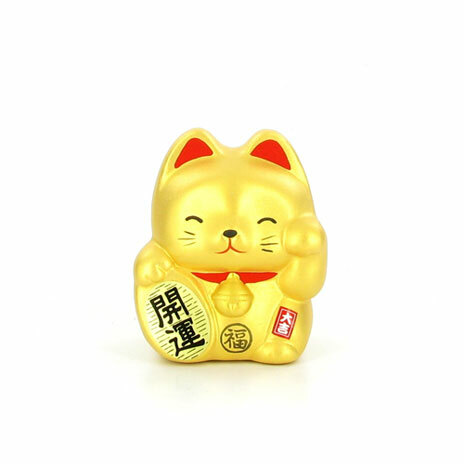 Originating first in China during the Han dynasty, the concept found it’s way to Japan in the late Nara Period around the 8th century. The format for Byobu is usually six-panel screens, as shown here. The original function of Japanese Byobu screens was to protect areas from the wind. 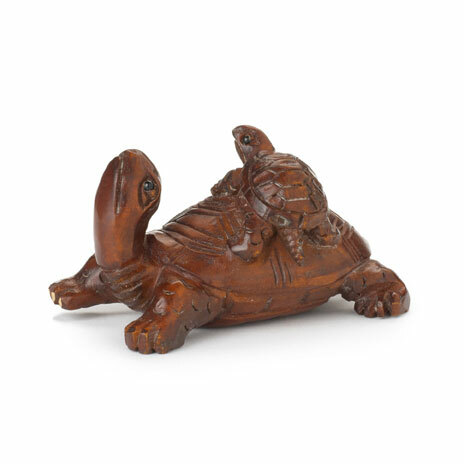 They are also commonly displayed as decorative items, as with this small example. The visuals on Byobu are often thematic, commonly portraying the four seasons or a larger landscape. Gold leaf is often incorporated into the background of the designs to enhance their vibrancy and statement as a symbol of wealth. 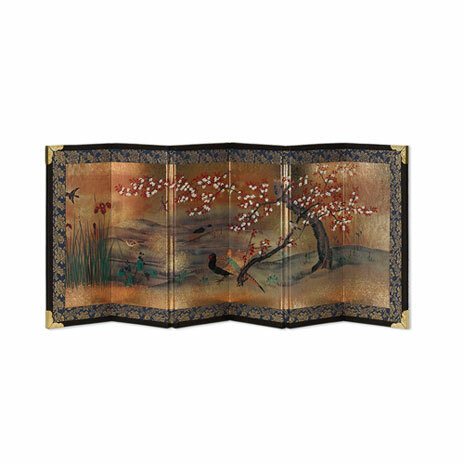 This Byobu screen is decorated with a landscape scene accentuated with gold leaf. Ideal as a gift, the screen comes beautifully packaged in a hand-printed paper box.